In addition to offering private searches, the new version of DuckDuckGo will also watch out for our privacy as we browse thanks to its new anti-tracking features. We are staunch supporters of DuckDuckGo for the simple reason that there should always be an alternative to every online service to prevent monopolies from gaining full control of our online searches. Until now, this free and private search engine has done its best to present itself as a rival to Google’s service, having accumulated almost 17 billion searches through its platform, making the statistics we posted last year look like child’s play. 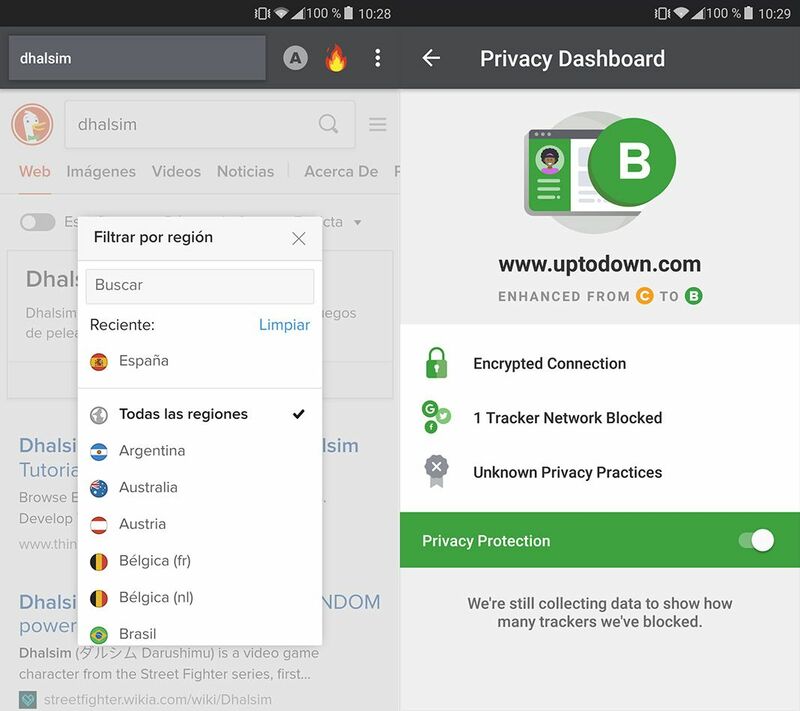 Until now, it was focused on offering privacy tools when it came to searching the web, but DuckDuckGo now extends its reach to also protect us while we browse thanks to the newly released version of the app which incorporates a browser extension. 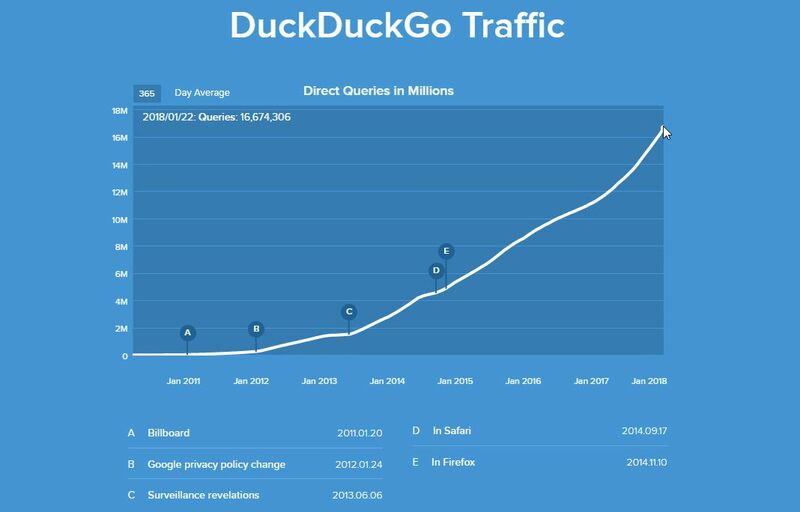 DuckDuckGo started to pick up speed back in 2014, although its growth has really gone through the roof in the last few months. The project was born in 2008 from the work of Gabriel Weinberg, who set out to create an open source project offering a search engine that didn’t store user data, but would still maintain a certain quality of search results provided. Its results system gives preference to websites with freely distributed information and crowdsourced sites like Wikipedia and GitHub, maintaining an aura of “independence” that’s still in full force today … something that’s clear to see if you try comparing it with its competitors over in Silicon Valley. 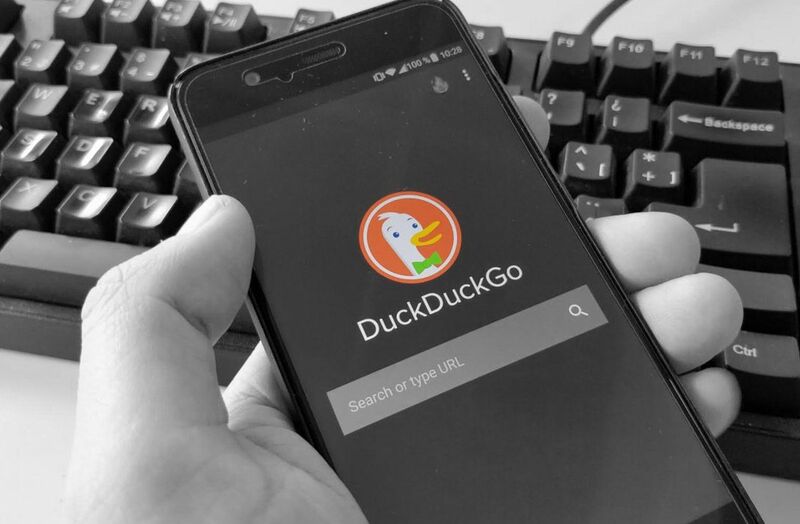 Both on the website and the mobile app, DuckDuckGo conceals our searches without sacrificing contextual results similar to what you’d see in Google. Depending on which search tab you use, you’ll get information, photos, or videos, as well as other related data like stores where you can buy a certain object, or cards with extended information about the search results. One of the main new features of the update is the new grading system that rates the level of privacy offered by the pages you visit. This value is calculated automatically based on the detection of hidden trackers, the possibility to encrypt information, and other privacy practices (or excessive vulnerability) of the site in question. You can even read the terms of service of the website if they exist. Ad trackers are much more common than you’d think. In fact, in a press release, DuckDuckGo recommends that we think twice before using the typical “incognito mode” most browsers offer, since many users tend to think that if a page isn’t saved to the browser’s history, they can relax. There’s nothing further from the truth, given the disproportionate number of tracking services found online. DuckDuckGo has increased the security of the encryption protection system, so your browsing data can’t be accessed by any third-parties — even your service provider.